I will do my best to keep this important sign brief. I will leave it to the reader to fill in the gaps that are implicit in what I say. The images created by this heavenly sign communicate most of what needs to be said. Also, I will assume that the reader has a rudimentary understanding of the other articles in this series. An “occultation“ is a term used in astronomy. Unfortunately, the same word is also used in astrology, so don’t be alarmed by my use of this scientific term. It simply means: ‘When one object is hidden by another object that passes between it and the observer’. An eclipse is a similar phenomenon. 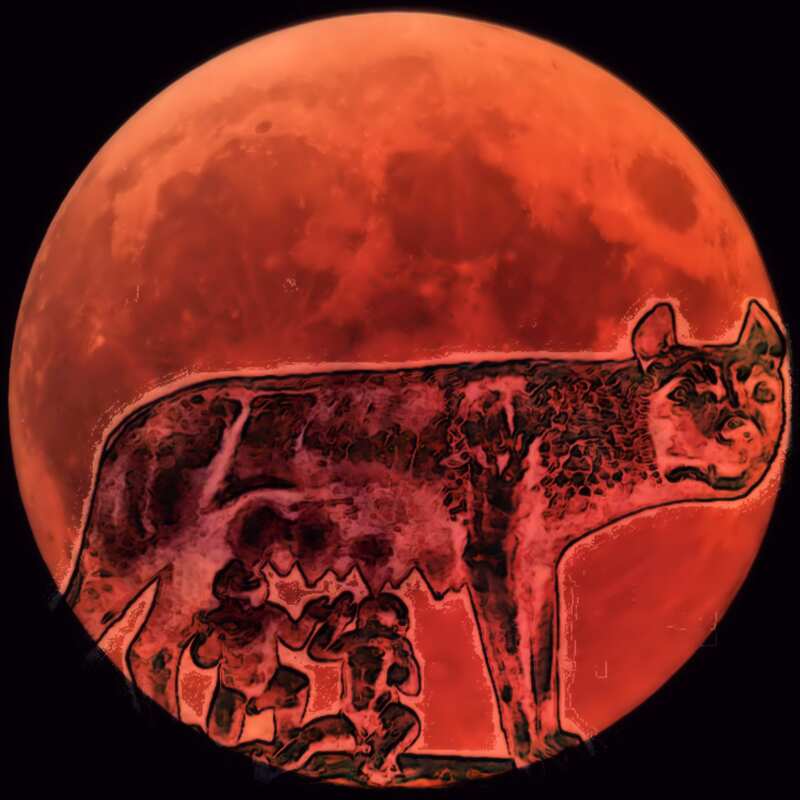 Recall the “super wolf blood moon” on Jan 20th, 2019. Recall that 21 seconds into this full blood-moon eclipse a rare meteor struck the moon. (See the 5th sign (Part A). There is a common theme to these “signs” happening lately. Moreover, certain entities, long held in prison, are being released for a season. Their purpose is to gather men together in the spirit of Babylon and its arrogant tower. They hope to delay the end. Sirius is far from the ecliptic, where most asteroids roam, and occultations of stars like Regulus, in Leo, are more frequently occulted. 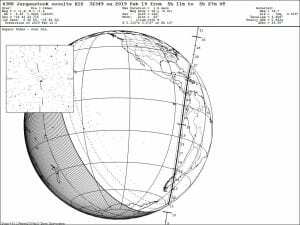 How often is our brightest star in the sky occulted? How often is the brightest star in our sky, Sirius, occulted? 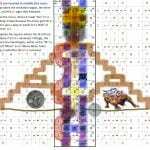 As deduced from the above statement by Forbes.com (in quoting Dunham at the International Occultation Timing Association, Middle East section), it would happen about every 500 to 1000 years. 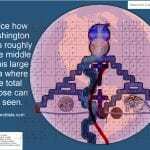 The encoded pictogram superimposed over North America, which also happens to be the viewing location of both occulted stars! As we shall see, the exact narrow viewing location of these two stars when occulted also form a pyramid-shape that crosses the earth. (See below image). However, how often is this brightest of all stars occulted within a 24-hour period along with a second naked-eye star? 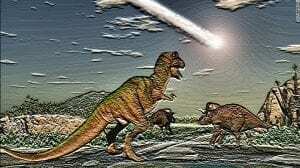 About every 50,000 to 100,000 years? Thus, we have an extremely rare event to ponder by our Creator in these last days: A double occultation within a 24 hour period that includes our brightest star, Sirius, and during a full moon — an event that happens about once every one million years! The same thing again, but here seen on the square map. 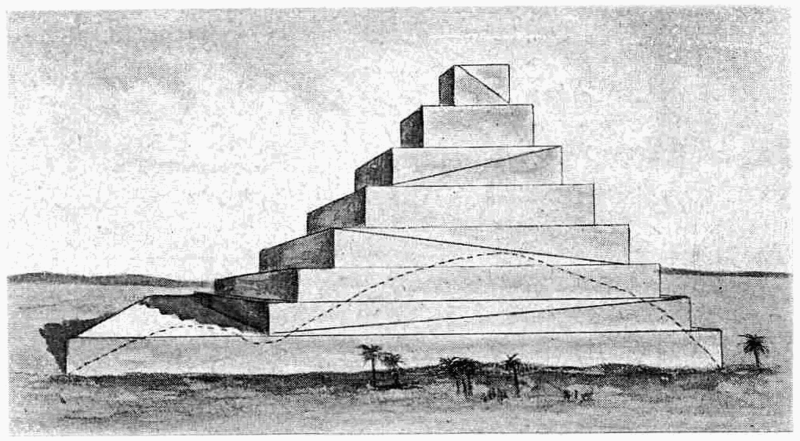 Notice how it rises from the abyss where the stone was rolled into (as said in Part 2 long before this sign), and that it reaches just to the top of the Pyramid above it — and where it curves. Hard to think of a better spot — but see next! 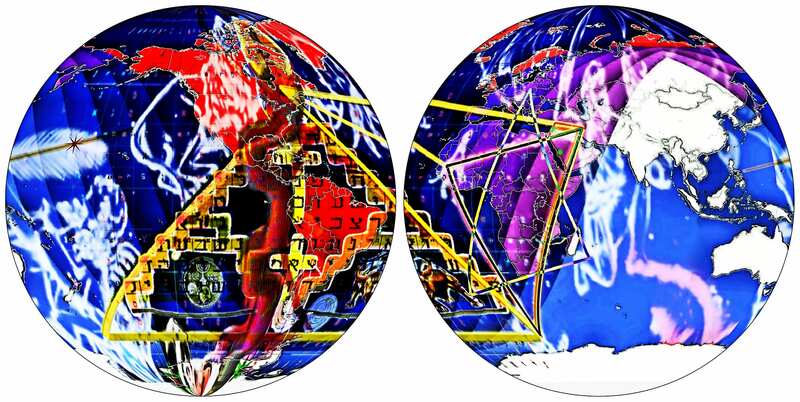 In the above image note that the red curved line of the path of the star Sirius (Isis) enters the ‘gate’ where the circular stone is rolled away in the prophetic picture code, (located just below the lowest yellow cross). 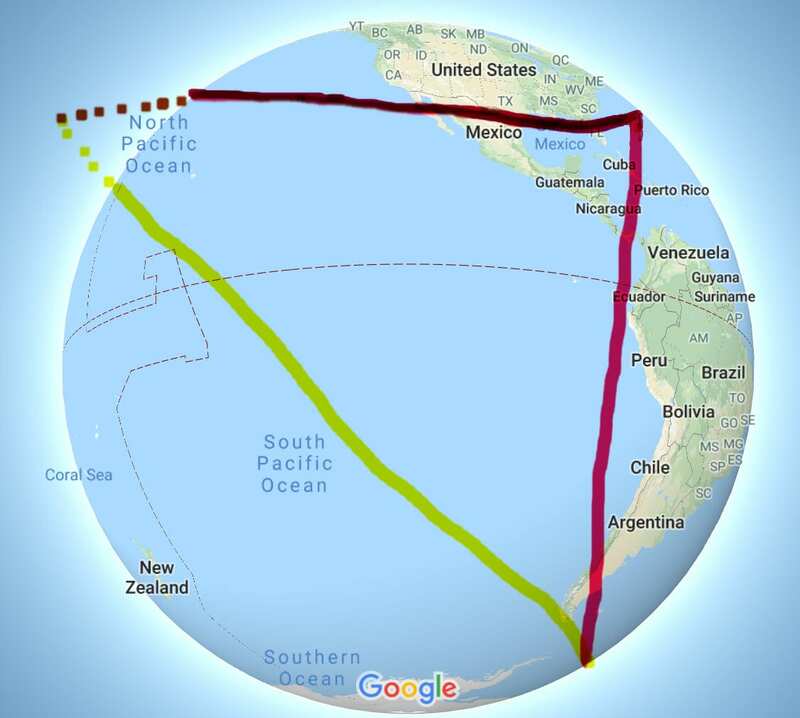 Moreover, on the superimposed map, this red line rises from the South Pole around the ‘Gate’ of the Drake Passage (at the horn of South America) then up through the ‘Gate” of the Panama canal, then in between the narrow pass between Cuba and Haiti, ending over the Atlantic Ocean. IMPORTANTLY, I went into great detail about ‘Drakes Passage’ and ‘the stone rolled away’ in another article 30 days PRIOR to when astronomers ascertained the correct path of Sirius. 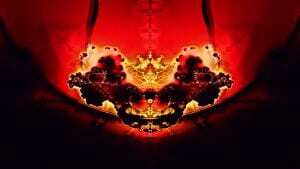 Moreover, I said back then that these gates marked the path of the rise of a serpentine spirit from the Abyss! You may click on “Read More” for a direct quote from the said article of 30 days ago about the Drakes Passage or skip it. As said, it is rare for a bright star to be occulted. And there will not be another seen in North America for the rest of this year. However, one of these two stars is the brightest and most famous of all the stars in the sky. It was especially famous to the Egyptians who set their New Year by it. The name of this star is “Sirius”, also known as Sothis/Sopdet and conflated with Isis. It was also known as the Dog Star. The Egyptians believed this star (Sirius) is the goddess Isis. It was also known as the Dogstar. This star was part of a triad that formed a triangle — a pyramid in the sky. The Egyptians called the star Sirius, “Sothis“, which literally means “triangle“. The rising of this star every year marked the flooding of the life-giving Nile River and their New Year. There is an obvious connection of this asterism (Triangle) in the sky to their triangular-pyramids along the Nile. With this background information, we can now ponder this sign. It is a pronouncement against the gods of Egypt, particularly their evil triad, Osirius, Isis and Horus. And all the gods. 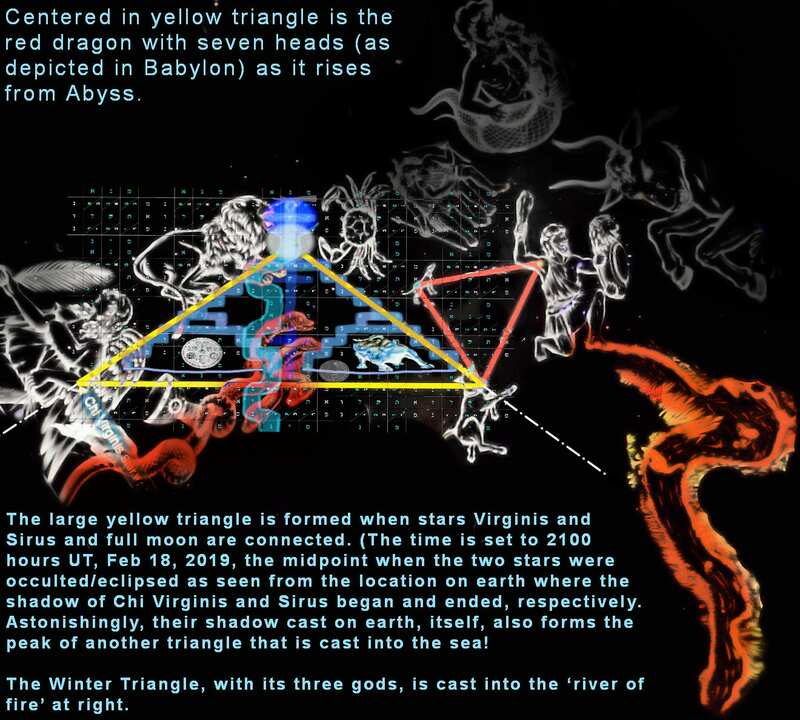 “The Winter Triangle”. 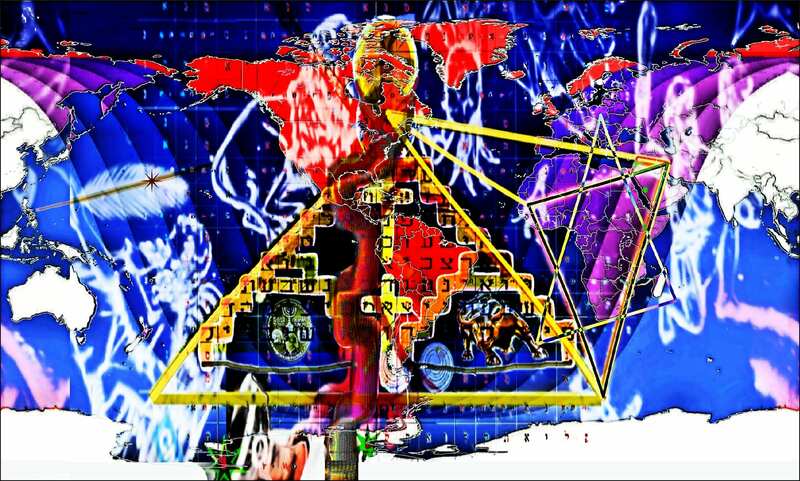 Locate tip of the nose of Dog star Sirius (Isis) at left corner. This is the sky as seen from Cuba when Sirius momentarily flickered out. Notice that the full supermoon was above the Triangle in the paws of Leo the Lion at the time. Compare this to the prophetic image of the Pyramid with the moon found in the next image below. 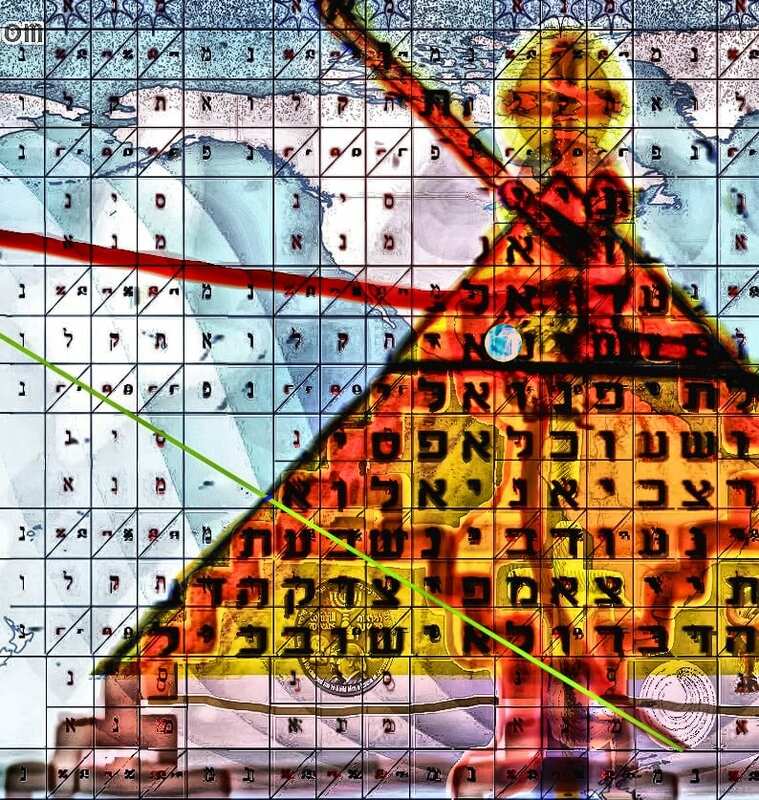 The star to the right of Sirius in the triangle historically represents bloody Nimrod (who built the tower/pyramid of Babel). 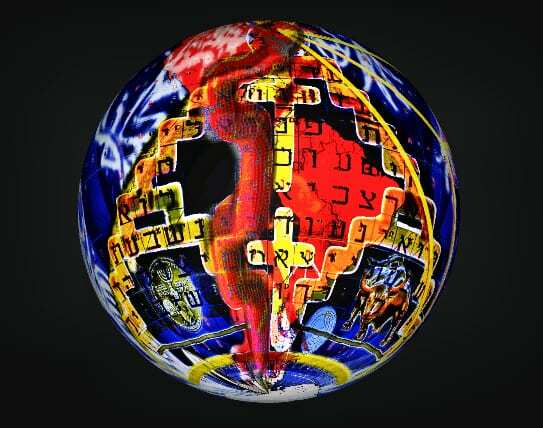 The star at its peak is Marduk, also called “Bel, the supreme god of Babylon. 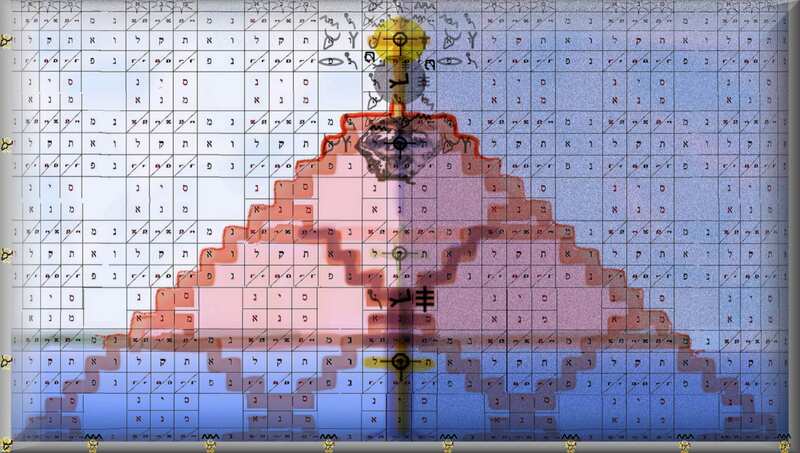 God will cast their mountain-pyramid into the sea, as in heaven so on earth. Tower of Babel. Mene Tekel Parsin Matrix. 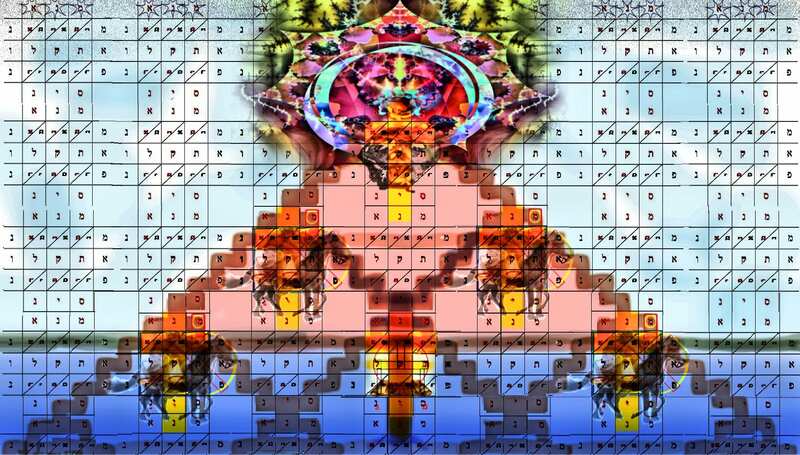 Look closely: this pyramid is made up of nine smaller ones, the same as the below image. 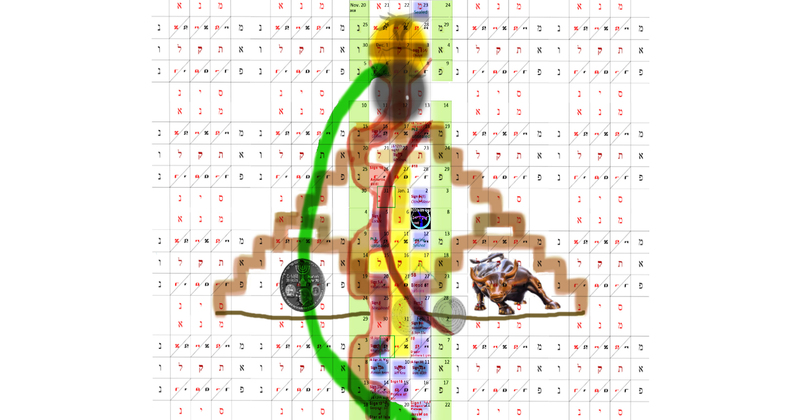 The Moon below Leo now overlaps the Moon in the prophetic image. 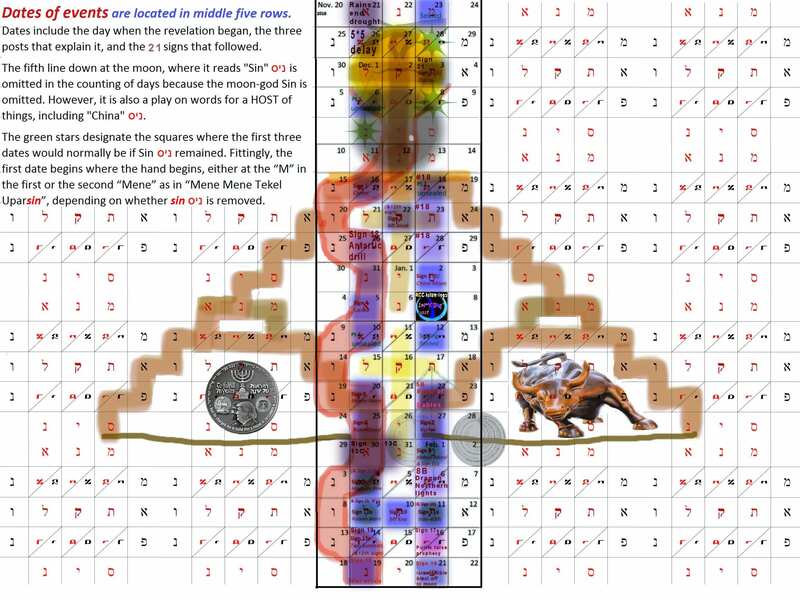 And Leo the Lion appears to come through the “Stargate” in a rage, trampling the moon. 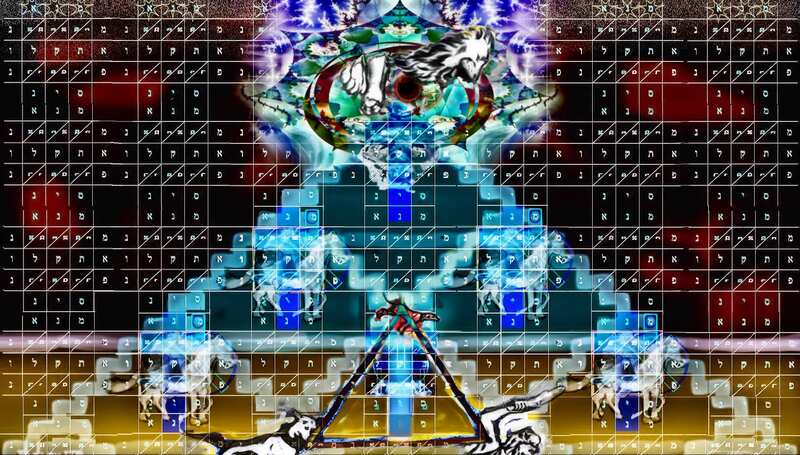 “The Dogs of the Triangle/Bashan” surround the lower cross. 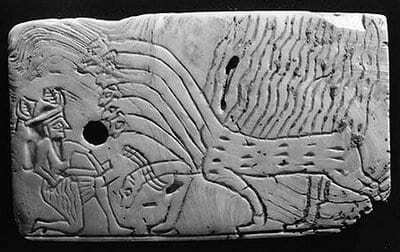 The club in the hand of Orion/Nimrod is beating a Lion to death (bottom). But the dead-Lion, no longer visible in this image, is seen risen above instead, now breaking through to take vengeance. 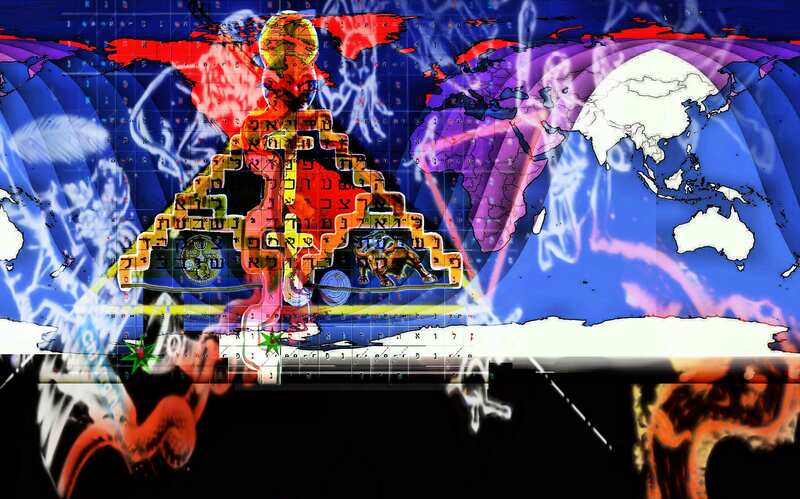 The below image shows another larger Pyramid in the sky. This larger one is this time formed by the position of the two occulted stars and the full supermoon as they appeared at the time. 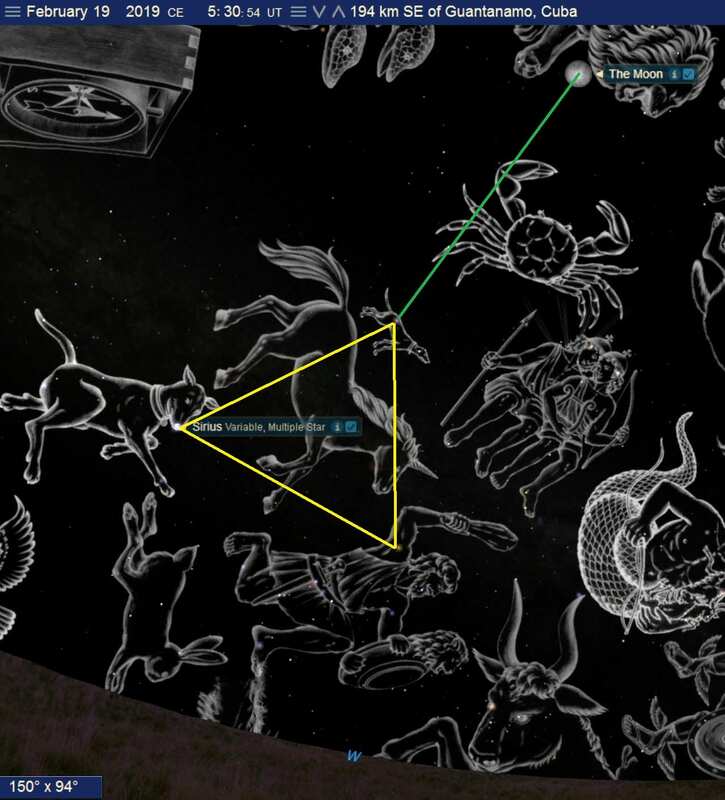 The location of the moon and the two stars occulted on Nov 19, 2019, form a larger (yellow) triangle about nine times larger than the original “Winter Triangle” as seen to the right of it. 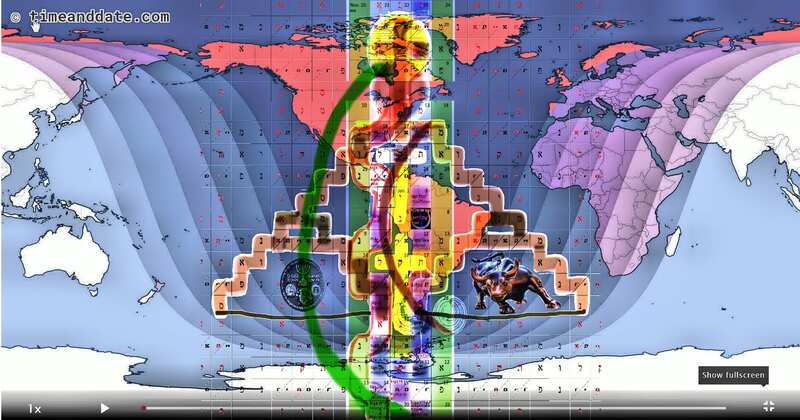 Astonishingly, this allows the large triangle to also be superimposed with the same prophetic image. 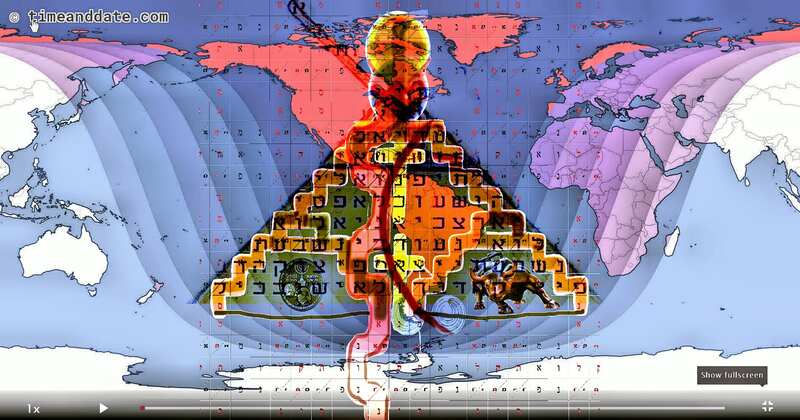 The effect is to have the smaller heavenly pyramid of Egypt (“The Winter Triangle”) cast into the heavenly river — Nile/Eridanus! The seven-headed dragon of the book of Revelation is none other than Hydra! Both serpents (the constellation of Hydra and the serpent in the pictogram) enter past the sealed round stone that blocked its entry up into the pyramid. (Recall what we said earlier about the path of the shadow of Sirius, which did the same thing. See right image. Whereas before the Lion was depicted as coming through the stargate, now the Lion leaps upon the top side of the Pyramid. His paws are upon the neck of the ascending serpent. The roar from Lion’s mouth shines forth like the sun, which is the sword of the cross. 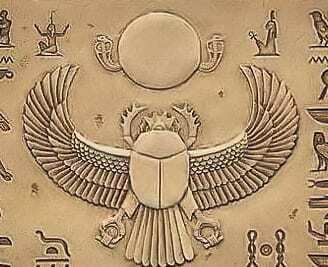 In Egypt, the scarab is depicted as pushing along the sun or the moon like a ball of dung. This is the original Cancer/the Crab. In the above image, at top the crab faces the Lion. They both lay claim to the sun and moon. The crab was originally the Egyptian scarab, as frequently seen in Egypt. It pushed along the sun or moon in its orbit. This means that the moon was perfectly positioned in the sky when Chi Virginis was occulted because, by the time Sirius was darkened 17 hours later, the moon had moved from the claws of the scarab to the paw of the lion! This is a remarkable feat of timing. 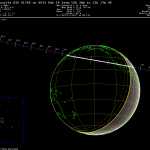 To do this the two occultations had to be spaced properly apart timewise and occur on a specific day of the month. Moreover, it had to be a full “round” moon to properly fit the imagery! The position of the moon in claws of the Scarab/Crab as Chi Virginis occulted. 17 hours later when Sirius occulted, it was at the Lion. Also, notice that the women “Virgo/Virgin” at the left corner is in contrast to the goddess Isis (Sirus) at the right side corner — where the smaller triangle is being hurled into the sea. Thus, the bride of Christ is in contrast to the bride of Satan, a wolf in sheep’s clothing. “Outside are the dogs, those who practice magic arts,” (Rev. 22:15a). The Romans perceived these dogs of the Triangle to be wolves. Hence, recall the “Wolf Blood Supermoon“, which was 30 days before this sign! ChiVirginis is a star in the eagle’s wing. The wing is given to the women that she might fly and escape the flood spews from the mouth of the dragon, (Rev. 12:15). The “Chi” in Chi-Virginis is the same letter Chi in Christ in Greek. And the disappearance of this star will especially be seen from Corpus Christi, which literally means, “The Body of Christ”. Thus, this star speaks of a time when she will be darkened/persecuted. But the time when Sirius to be blotted out will surely follow. The name of the asteroid that blocks the light of Chi Virginis, thereby causing it to disappear for 11 seconds is called “Aeolia”. Aeolia is a group of seven mountain islands in the sea, renown for the Nephilim. They face the seven hills of Rome! 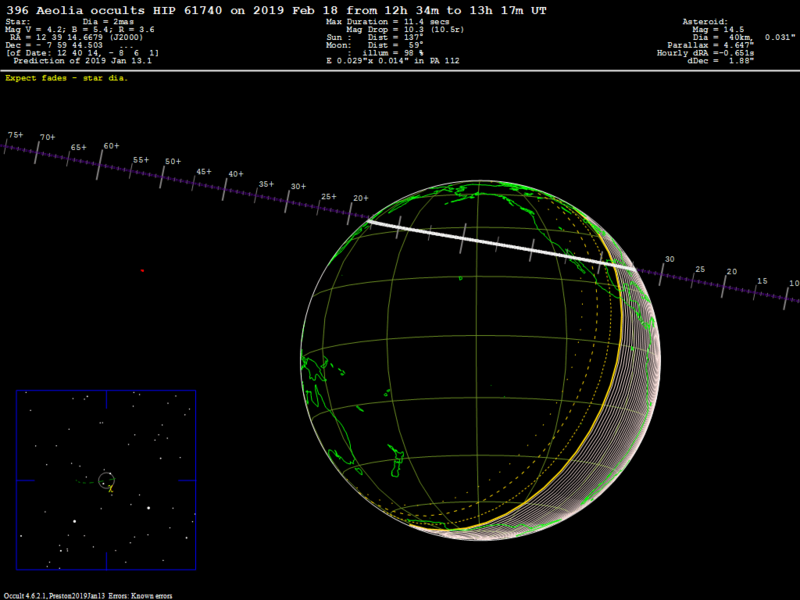 Need I spell out what is being communicated by the name of this asteroid? 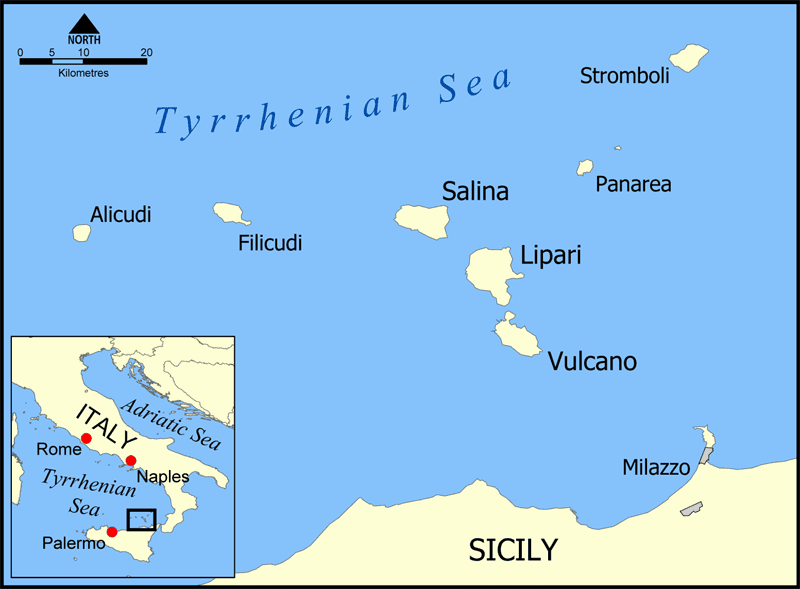 The asteroid that darkens the Body of Christ (Chi Virginis) refers to the Aeolian Islands that face the seven hills of Rome! According to one theory, the Greek constellation (Eridanus) takes its name from the Babylonian constellation known as the Star of Eridu (MUL.NUN.KI). 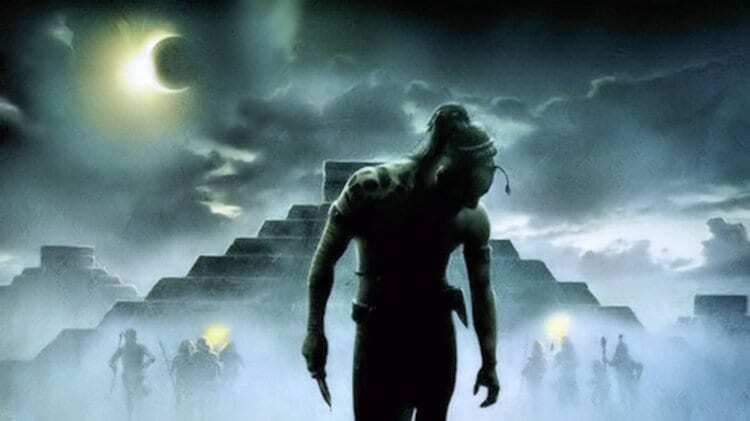 Eridu was an ancient city in the extreme south of Babylonia; situated in the marshy regions it was held sacred to the god Enki-Ea who ruled the cosmic domain of the Abyss – a mythical conception of the fresh-water reservoir below the Earth’s surface. I hope by now the reader is getting a sense of the volume of information that God is communicating by this sign, and why I do not want to write a book on it, which one could easily do. Christian: You are the head and not the tail. Grab the serpent by the tail and it will become a rod in your hand, with the head down at His feet. Again, this is the path of the two stars as their shadows passed over the earth to form the triangle. 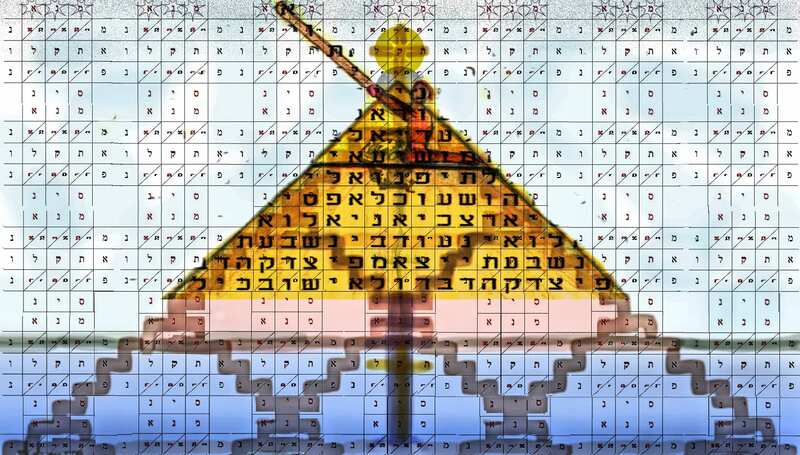 Now that you have seen that the heavenly sign was that of a pyramid being cast into the heavenly river/sea. So it is on earth. On earth the pyramid is cast into the Sea (Pacific Ocean). Viewing location of Sirius is the right line. It overlaps the path of the serpent in the image before this. 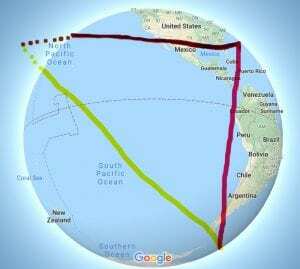 And Chi Virginis is the red line on the left and reaches to China. I could have used the global map instead, but then China would not be visible. 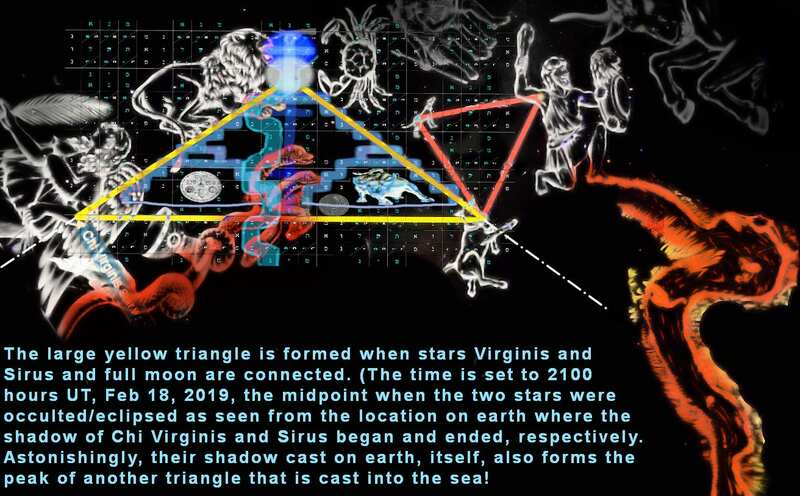 The path of the two stars that form a triangle over the earth intersects the triangular-pyramid in the prophetic image perfectly! Even the moon sits at the top of both pyramids in this image! Therefore, both signs in heaven and on earth mean the same: A mountain is cast into the sea. 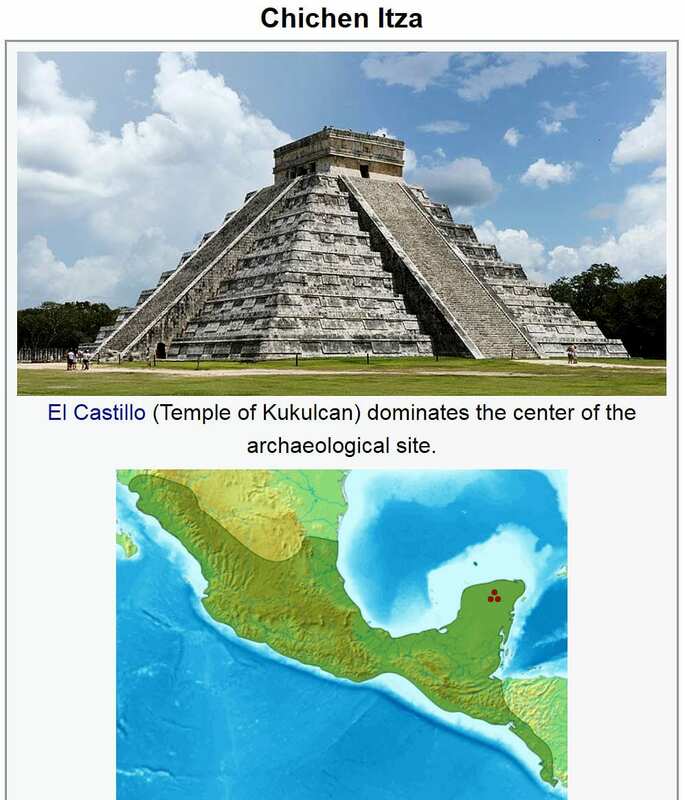 Chichen-Itza Mexico (Wiki). 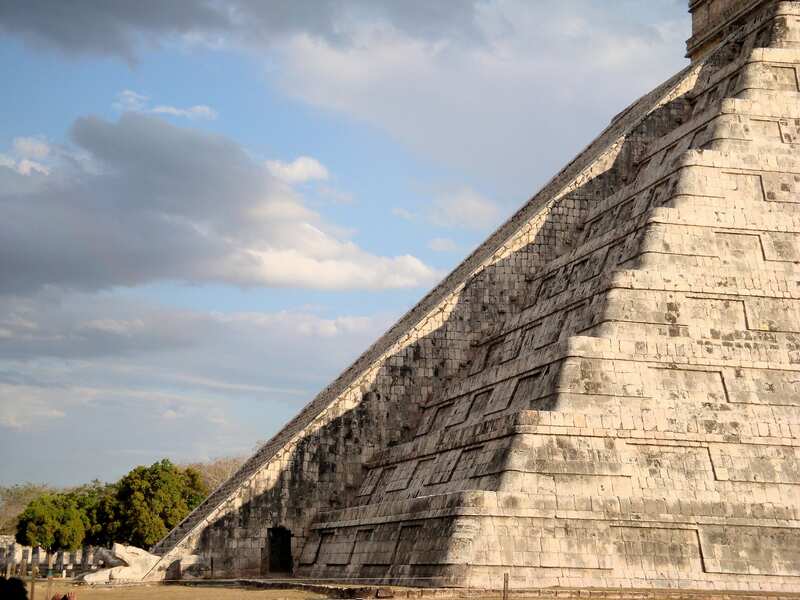 ‘Part A’ of this 13th sign was the release of the serpentine spirit from the abyss beneath the pyramid of Chichen-Itza after being sealed there for 1000 years. The photos of this underworld were taken the same day that Sirius blinked out. 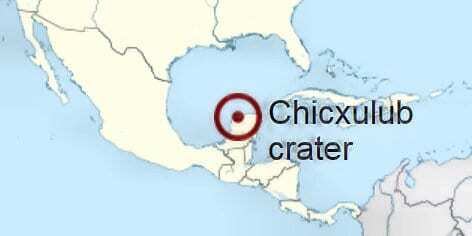 Even the EXACT location of Chichen-Itza fits PERFECTLY into the sign. The above is exactly how it was shown in the prophetic image as seen below — EXACTLY. 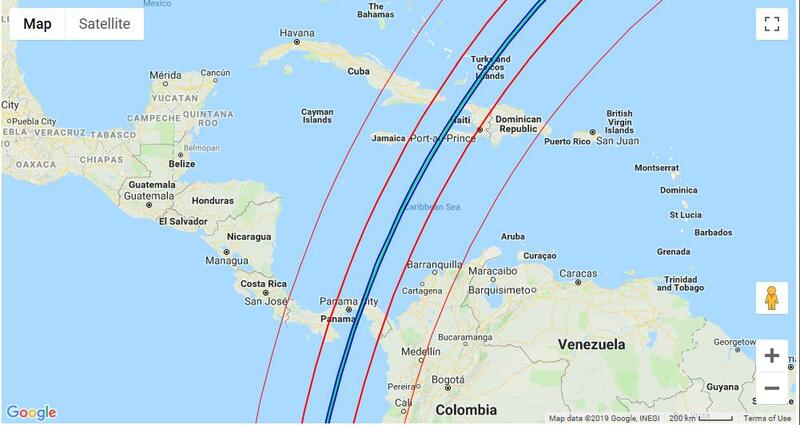 In other words, the location of the 13th sign at the top of the Yucatan Peninsula (which itself is shaped like a triangle) is the best spot on earth to fit the lines drawn by the occultation of those two stars! Moreover, a historic meteor hit this very area and destroyed the world many years ago according to scientists — -when dragons/dinosaurs ruled the earth! 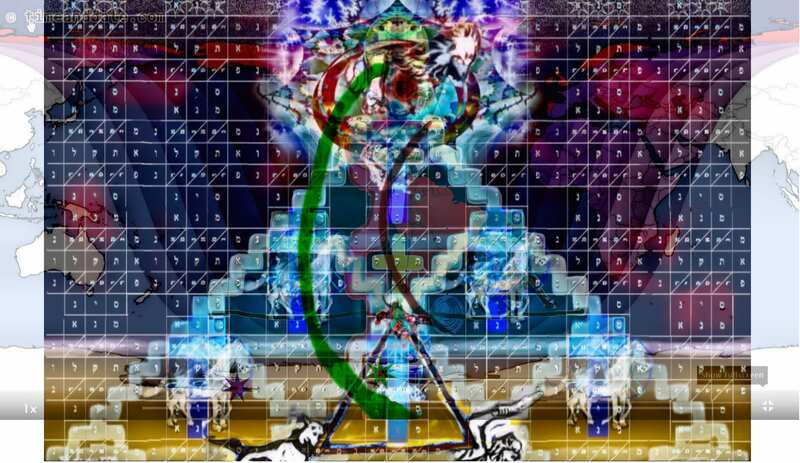 Pyramid Code from 7 years ago superimposed with the one now. It was posted about an hour before a meteor hit the moon the very minute of the blood-supermoon of Jan 20, 2019. Recall that the skull at the altar at top is actually an image of the Halloween Asteroid that swung by Nov 11, 2018, 100 days beforehand. Thus, the location of the said Yucatan Crater is more than fitting, it is prophetic! 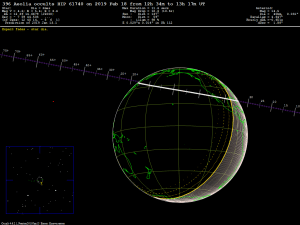 Same image, but with the paths of the two occultations. Again, note how perfectly the meteor-skull is positioned. In below video notice that the dirt devil formed at the side where the shadow of the serpent descends at the spring equinox, near the head at the bottom. The serpent shadow would have appeared later that same day again as well. This article (Sign 13B) was posted the day after this happened. 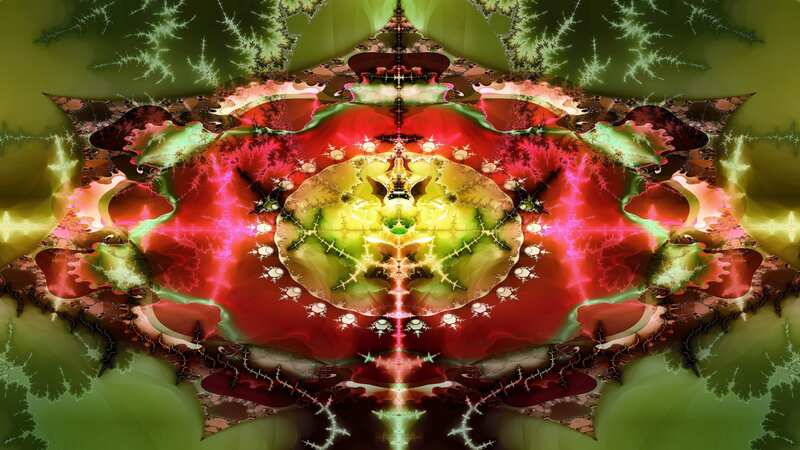 It happens that the next post that I am currently working on is about the Enochian calendar and the importance of the spring equinox on March 20, 2019. A day after tourists came to Yucatan to see a “serpent” climb down a temple’s steps, a different natural phenomenon wowed tourists. A dramatic, mysterious whirlwind hit an open area near the same pyramid Friday afternoon, startling amazed onlookers at the archaeological site. The narrow dust devil, reaching up into the sky, kicked up dirt but caused no injuries or damage. A video of the incident was shared on social networks. “Kukulkan (serpent/dragon god) is mad,” said one witness, referring to the Mayan serpent deity for whom the temple is named. I leave this for you to ponder. Recall that the rising paths of Sirius represent the rise of a serpent. Now we superimpose their paths on earth over their positions in the heavens. This will prove important when we come to the 18th sign when the location of the drilling in Antarctica is superimposed as well. Putting it all together: This is essentially the ancient view of the cosmos, including Enochs. It’s a childlike representation of a realm beyond our grasp in every way. Heaven itself is above all. The other green star to the right of it is the location of the tallest mountain in Antartica. 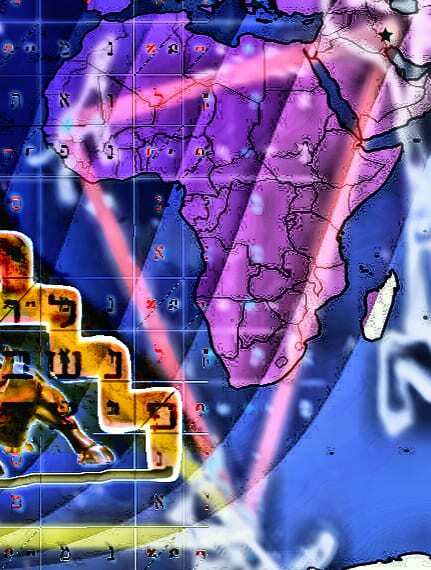 The ‘triangle cast into the sea’ covers Africa. 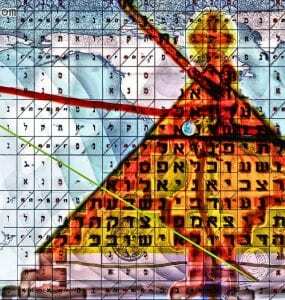 Notice the location of the star of Nimrod/Orion at the top of the “Winter Triangle” above the Red Sea. 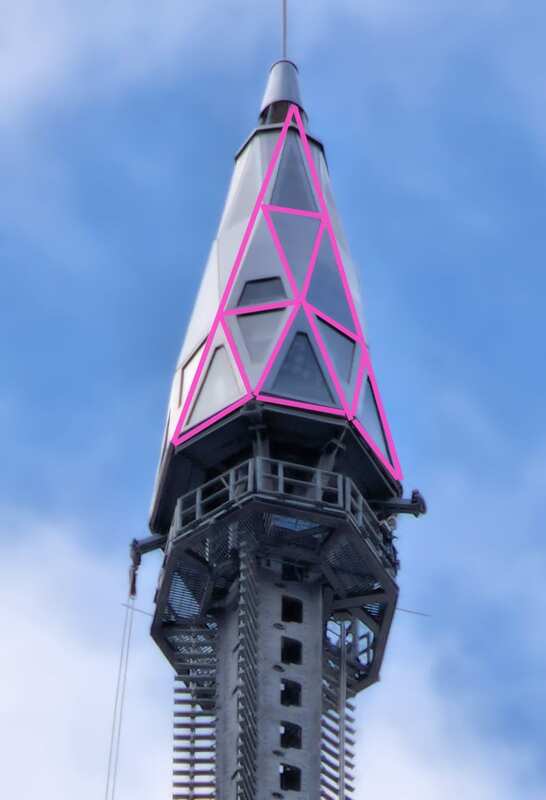 Babel’s capstone is Saudia Arabia! Chogha Zanbil Ziggurat, Iran, is where the star of Nimrod overlaps in the prophetic image. (The star is also known as Beetlejuice). See Sign 13B. Perhaps this spot marks the location of the original garden of Eden with its mountain? Built around 1260 BC, the god Napirisha was worshiped there. I know that the arc is simply the product of a square map. But God has a habit of showing up in unusual ways! The sins of the darkness of this world rolled away like the gravestone that covered the tomb of Jesus? 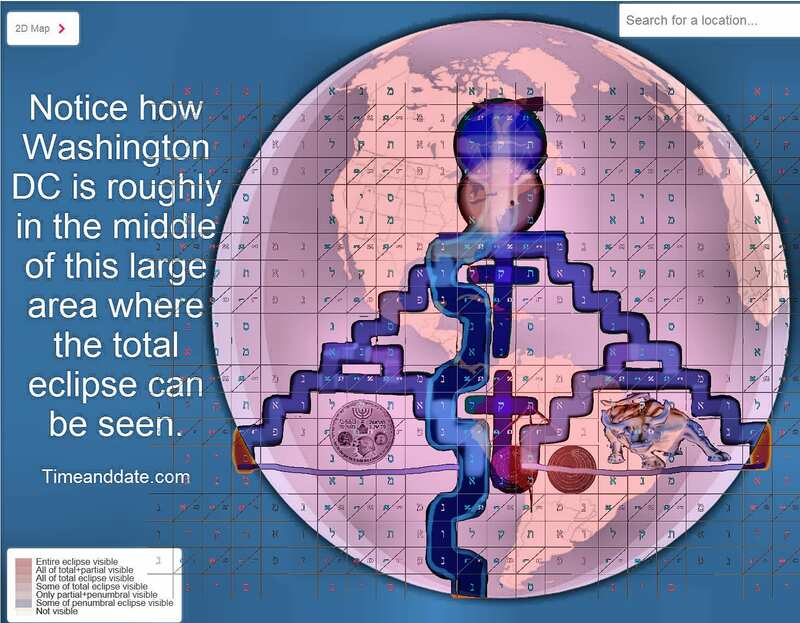 The location of the star in the superimposed constellations upon the earth puts the location of this black hole in the middle of the abyss of the ocean. To the Egyptian, the depth of the ocean is the definition of the Abyss, spelled Nun or Nu. 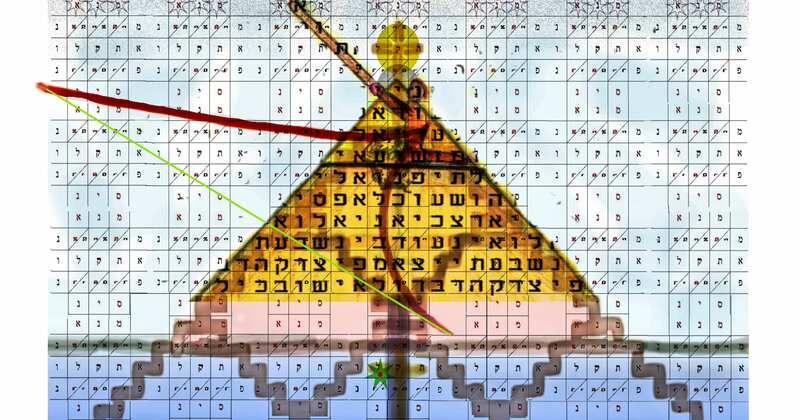 Moreover, the code spells the very letters vertically NUN נונ and NU נו at the left outer limits of the writing on the wall. 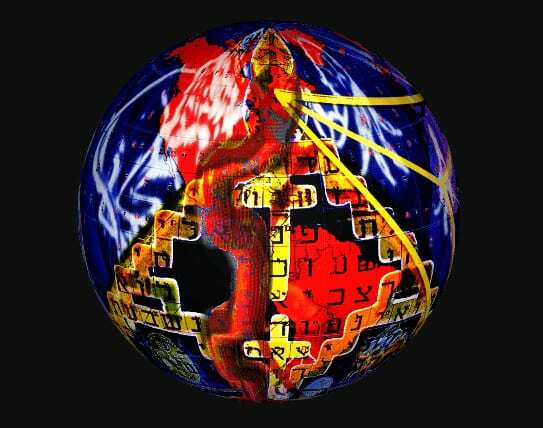 It also spells horizontally א)תקלו), “I weighed him in the balance” or “They are weighed in the balance”, with the star located a the vav ו referring to “him”. The last two verses of the book of Isaiah is like the last chapters of the Bible: The serpent is cast into the bottomless pit, and later, the lake of fire. 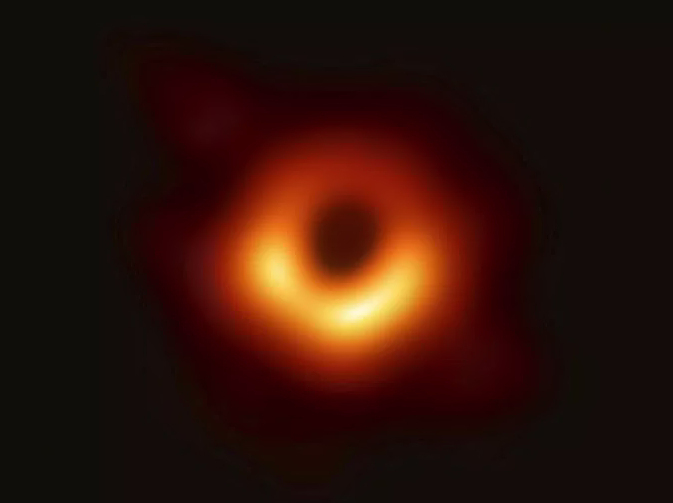 The first Blackhole every seen (April 10, 2019). Cast into the bottomless abyss (נונ) for “a 1000 years”! This black hole is one of the most massive known: it’s six billion times more massive than our sun.